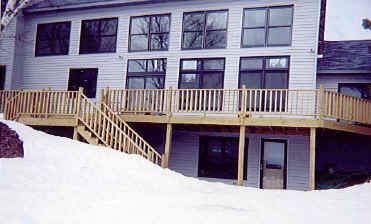 A picture of the back of the house. Some time ago, some nice person removed all the stickers from the windows. The snow is going, but it's not gone yet! Looking in the door of the craft room. 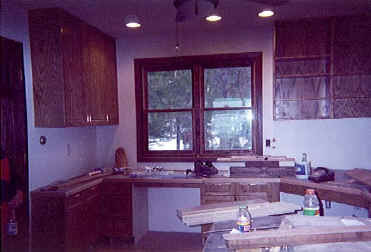 Most of the cabinets are in place. The "business end" of the craft room. The computer will go in the right corner, and the sewing machine will be where the kneehole on the left is. It looks like it probably will when I'm in it - a terrible mess! 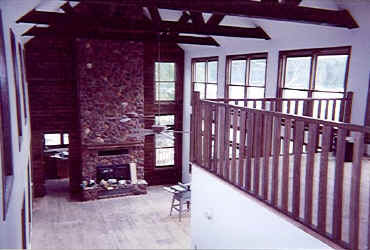 The great room looking toward the loft and guest suite. The railings are in place and the stairs look like they're finished. The fixture at the top of the stairs is installed, but it's mate at the bottom isn't yet. 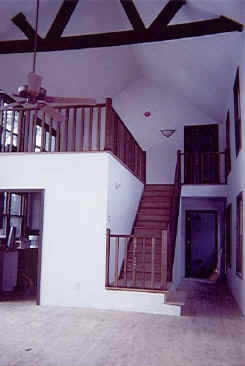 The great room from the top of the stairs. The fireplace is finished. 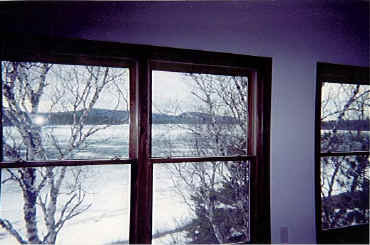 Looking out the windows in the loft. The town of Copper Harbor is directly ahead. Notice that the harbor is still frozen. The stove side of the kitchen, as seen from the porch door. 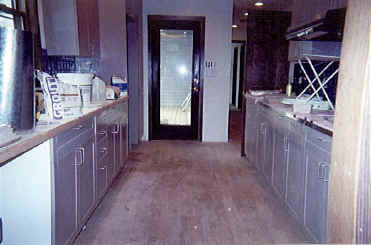 Then appliances have not been installed, and the microwave cabinet, on the left, isn't there yet. Most of the tile is in place. 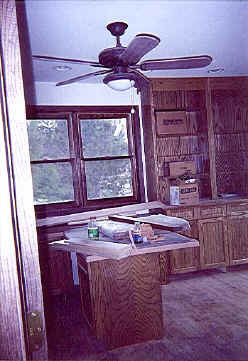 The kitchen from the great room door. I hope to keep it a little neater than this, but it certainly looks like home. Looking in the laundry room door. 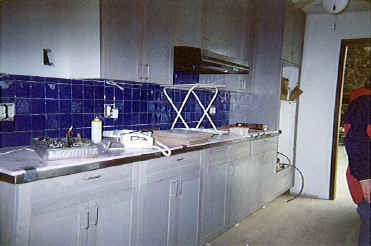 The sink will be at the end of the far end of the counter. 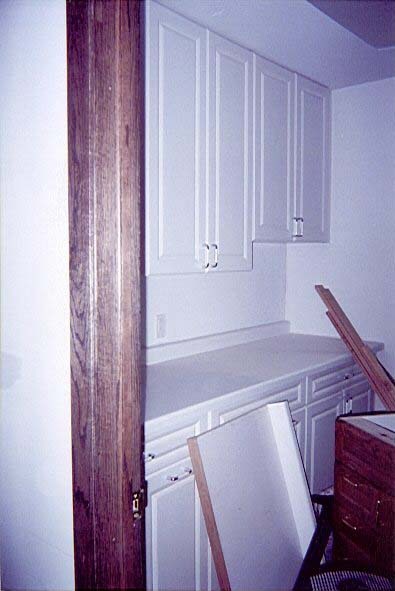 The cabinet sitting in the middle of the floor is for the powder room.